Karen Swanepoel wrote in recently to say that she’d been going through her grandmother’s photo album and discovered some really nice pictures of those early days. Karen is not sure that all the pictures show Durban scenes and the ones that we aren’t sure about are marked. Please let me know if you spot anything you recognise. 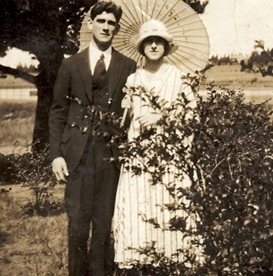 Mary and Edward McCann at their wedding. 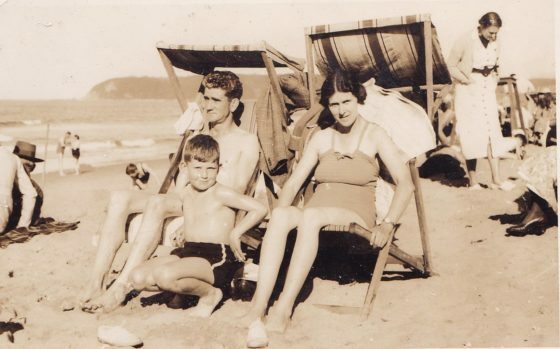 My grandmother was Mary Florence McCann (nee Bouchier) born 1903. Her brother died in action in 1915 at Gallipoli at the age of 19. 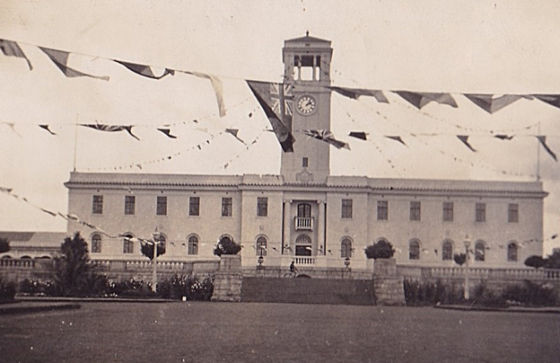 The family decided to start life afresh and moved to Johannesburg where she met my Grandfather Edward St. Pierre McCann. They got married and moved to Durban in the 1930s. Their son, Edward George, my father, went to Durban High. 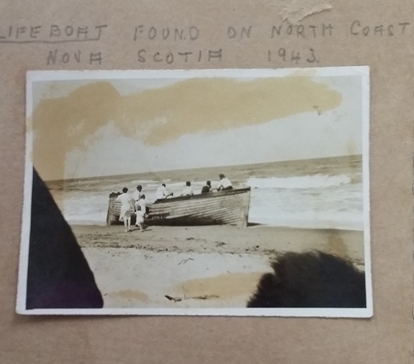 I think these pictures are great and was particularly interested in the one of the Nova Scotia’s lifeboat. The vessel was sunk in November 1942 as described elsewhere on this site and I suppose it is possible that a lifeboat from it was washed shore some months later. We don’t know whether Mary McCann’s attribution was based on markings found on the lifeboat or whether she just supposed it had come from that ill-fated ship and not one of the many other vessels sunk off the Natal coast during the war. Could that be McCord’s hospital in the background of the 941 Native Reserve bus? 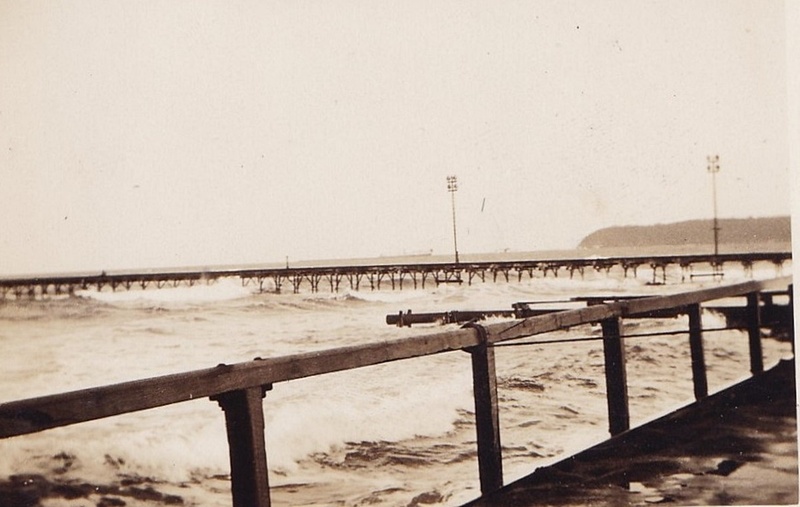 A delightful collection of old photographs. Thanks for posting and wish we had more posts like this on the site. 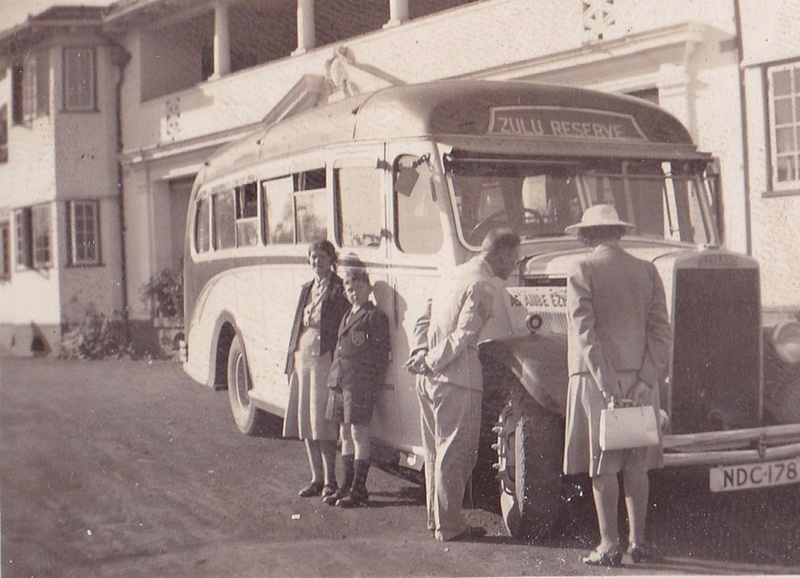 A bit before my time but perhaps I can clear up the Hotel Seaside photo unless a hotel of the same name is also on a corner somewhere else in RSA. I looked up Hotel Seaside in my 1938 Dbn Directory and it was located on the corner of Marine Parade and Smith Street. Smith Street did and still does extend down to Marine Parade but is a narrow road now between Point Road and Marine Parade. 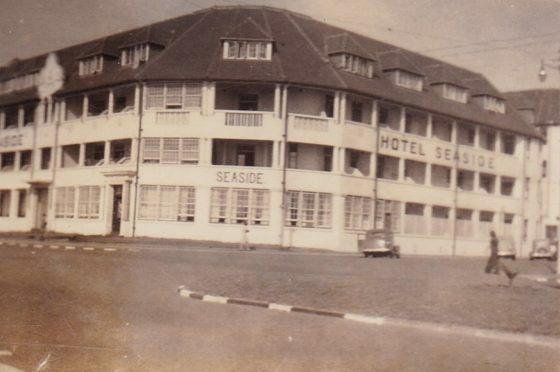 I well remember the Seaside Hotel and it was still in existence in the early 1970s. Not sure when it was demolished. However to further prove this is Durban, have a look at the trolley bus wires which you can faintly see. According to Allan Jackson’s Facts about Durban book (2nd Edition) it states the following ” the first trolley bus ran on the Marine Parade Number 1 route on 24th February 1935″ which puts the location and the date in line with the photo. The lamp standard as well looks like an early Durban standard. Then “The Ards”. 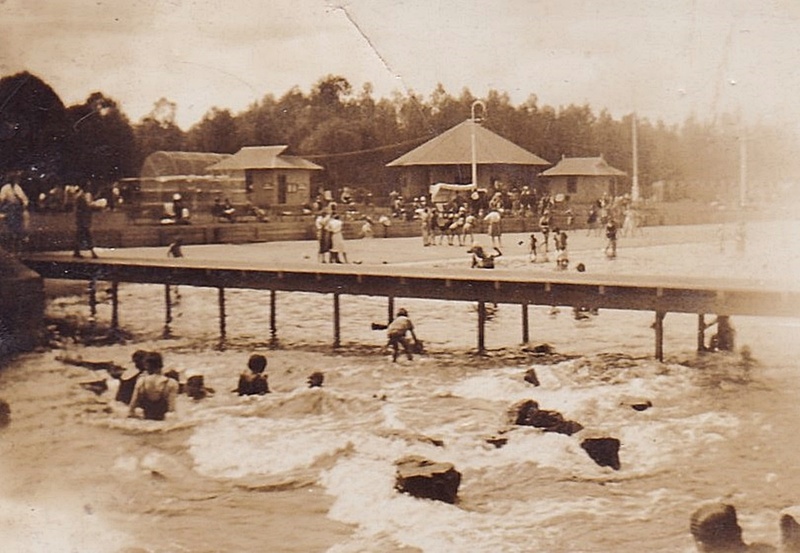 Also listed in the 1938 Directory as located at 185 Marine Parade. 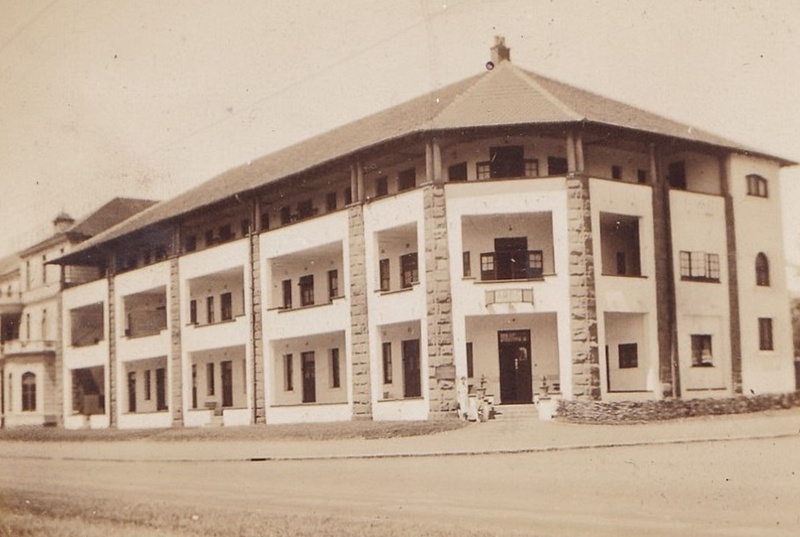 The Ards seems to have been a type of boarding house and not a hotel as such. The proprietress in 1938 was Mrs M. Case and the Housekeeper who lived in the building was Mrs A Forsythe. There appears to have been 4 permanent residents with all the other rooms rented out on a temporary basis only. It is not listed in the list of Boarding Houses nor the Hotels ( with Bars) list so it must have been a type of rooms to let. Next to “The Ards” on the left was the Hotel Majestic and in the photo you can just see a portion of the Majestic. The Majestic was next to the Edward so that gives a location picture. 185 Marine Parade is where the Marine Plaza flats now stand so at some time The Ards was demolished probably late 40s early 50s. So I would say both buildings relate to Durban. My great-aunt is Mary Case, proprietor of The Ards. I have been trying to find out more about what happened to her and the building so thank you very much for the picture and info! Are the street directories available online? Gerald or Allan, would it be possible to find out the names of the other permanent residents in The Ards? I am also looking for two of Mary’s sisters who moved to SA and wondering if they may have been at her establishment? I am always pleased that my digging comes up with some information helpful to others. First of all the directories as far as I know are not available on line. They are available at the Durban Reference Library but cannot be loaned out. This presumes you are in Durban! I have managed to get hold of two such Durban directories which once upon a time were handed out for free. The one is 1938 and the other is 1968. 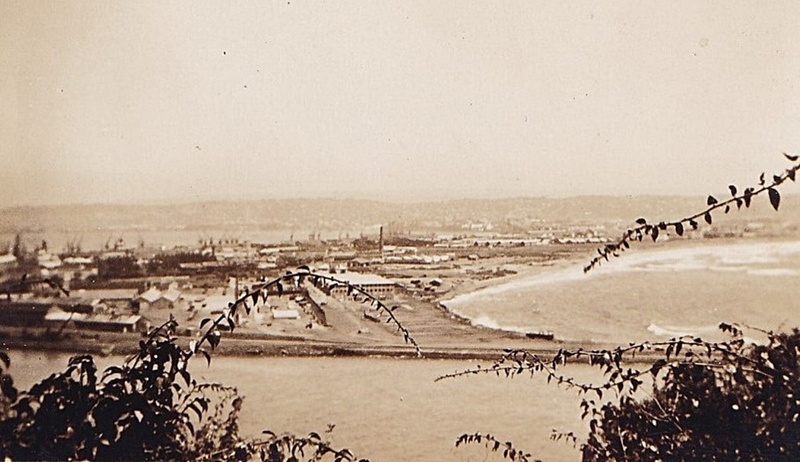 Post 1938 and the war years not much changed in Durban till about the mid 50s so the two books compliment one another. These are the resident’s names in The Ards in 1938. 52 Mrs A Forsyth the housekeeper. No room number for Mrs Case (the proprietress) but in the name listing her address is given as “The Ards” Ocean Beach and telephone number 23657. So it would appear she did live there. The following note is given with the The Ards, ” Other residents temporary only”. Regarding Sister Kathleen Lever, her name appears listed in the Business and Professional Directory as a Nursing sister. Her telephone number is also given as 23657 so obviously there was only one line at the ARDS and one assumes you were called to the telephone if the call was for you. If you give me Mary’s sisters’ names and initials I could look them up. Thank you Gerald! I am interested in Mary Case’s husband Rupert Vivien Case who was an engineer. Both of their addresses were the “Ards” on their 1919 marriage certificate. Also Mary’s sisters Elise Josephine Leathem (nee Silo) and Rosa Mountford (nee Silo). They may not have been in the Durban area but thank you for checking! There is one Leathem ( an unusual surname) in the 1938 directory. 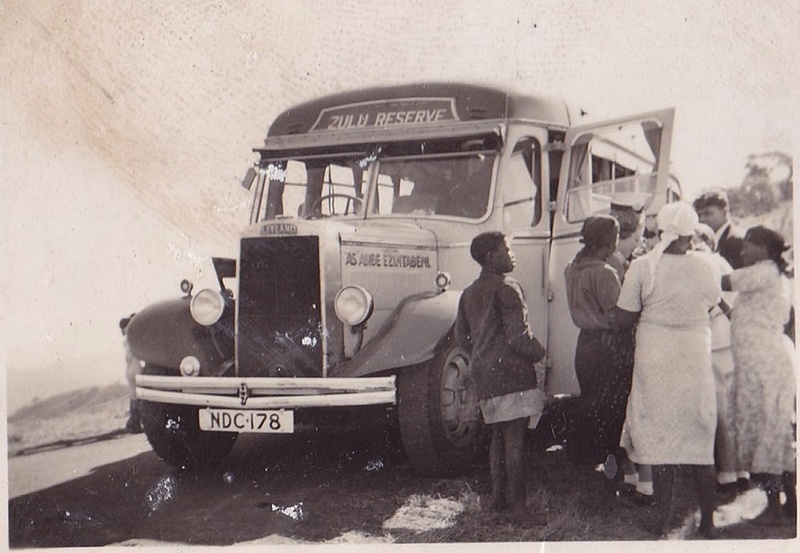 H M Leathem 26 Cunningham Road which is in Umbilo off Bartle Road. There is no Silo nor Mountford listed unfortunately. Mrs M Case is the only Case listed. I checked all the men listed in the various Engineers section but no record. Can one surmise that perhaps Mary’s husband had passed away by 1938? Rupert’s probate information shows him as “of Durban, Natal, South Africa” who died May 31, 1944. Maybe they were apart in 1938. Curiouser and curiouser… 🙂 Well at least I’ve made some headway. So pleased to see the picture and get the listing information! Thanks again!! A final word on this is that if you do a search on this site for “Durban Cemeteries and Graveyards” there are instructions how you can access a website which has to do with the photographic recording of cemeteries. Click on “Search” under the Facts about Durban banner. On the website you can do a search for “Case”. Good luck. Many thanks for the homework and information on the two buildings. Wonderful to know where my grandparents stayed while on holiday in the 1930’s, before their move to Durban. 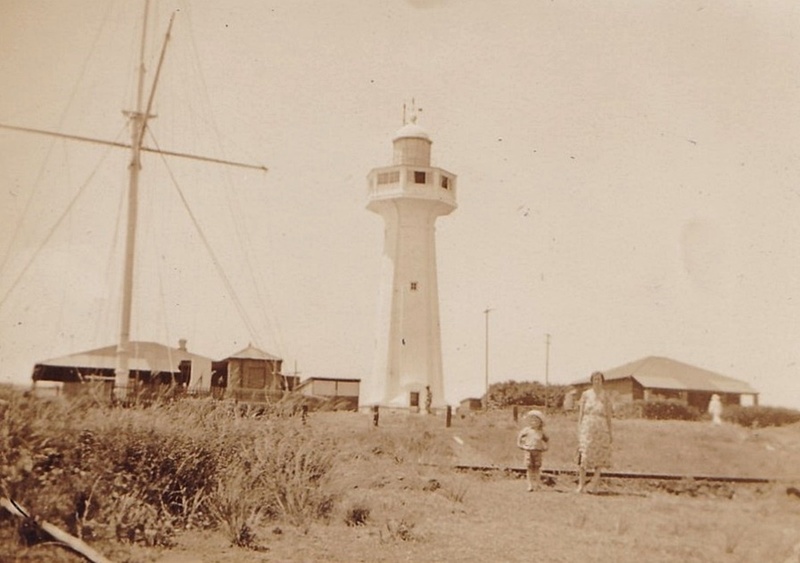 I may have another photo of family at “The Ards” which might be of interest to Cathie. It is so important to record these photos as it is so difficult to find any digital images of them.